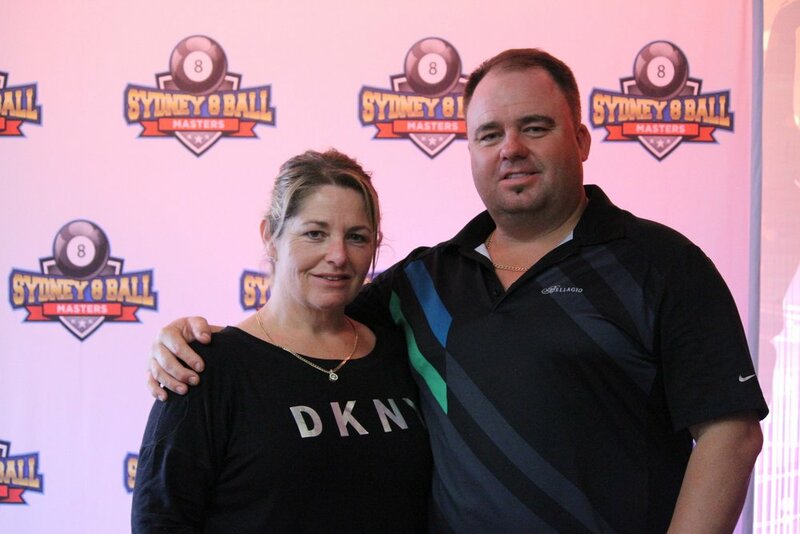 The inaugural Sydney 8 Ball Masters was played over the weekend 2nd-4th of November which looked to be the marquee event of 2018. The event saw one hundred players converge at our host venue Tenpin City. Players of all levels came from around Australia, Indonesia, Philippines, Estonia and New Zealand contest for the prize of being the first champion of the Sydney 8 Ball Masters. The winner would bag $2500 and a special champions jersey designed by Ultimate Team Gear. The game of 8-Ball was played on 7ft Diamond tables, the best pool tables the sport has to offer. 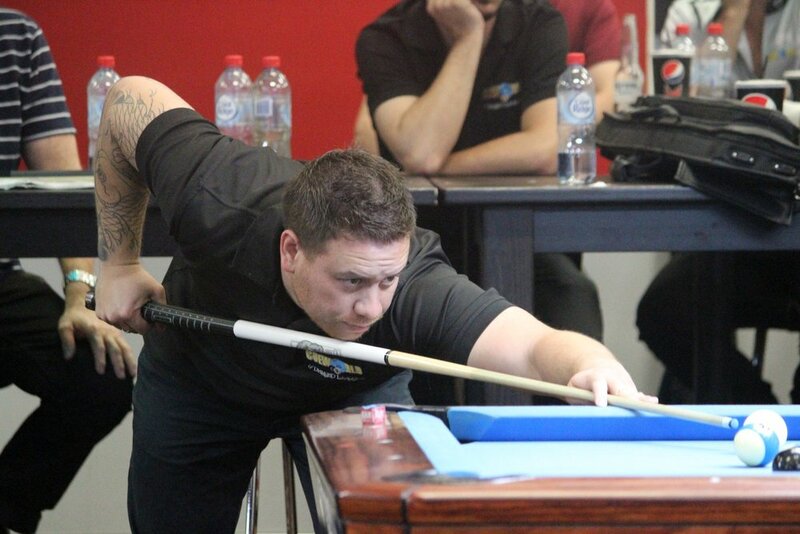 The strong field included some of the best Sydney pool players the city had to offer, this included the likes of Justin “Juzzanaught” Sajich, Chris “Breeze” Calabrese, Raimo “Rambo” Teesaar, John Wims, Andy Nguyen, Greg “SupaJenks” Jenkins, Craig Riley, Danny “ Young Master” Stone, Shaun “Boags” Oglesby, Chris “The King” Kovacs, Barry “The Mule” Mavros. We were very pleased to see the boys from the Masse Room in New Zealand; Logan Walsh, Miguel Raman, Danny Kerkhoven and Cole Hoggart take part in this event. The event was streamed and commentated by Barry “The Mule” Mavros which really added a level professionalism and really allowed the cuesport community to follow this great event from the comfort of their home or on their mobile device. Barry also interviewed many players and asked them how they liked the event, all the feedback and comments we received were very positive. The tournament was played in two stages; the first stage being Round Robin played on Friday night and Saturday. The Round Robin saw the one hundred players placed into groups of five players; each game was race to four. The group stages saw some upsets with the likes of Simon “For Lease” Felice beating the top seed of his group Benni Poulivatti 4-3 and Kate “KT-180” Harrison also doing the same against well-known Sydney based Filipino player Archie Luminarias. We knew that the event would attract new players and one player of note was Ms Kenny Tirza a great ladies player from Indonesia defeating NSW State 10Ball Champion Manny Hipolito in an enthralling match. There were also some other close calls in the round robin stage, however one of note was Chris “Breeze” Calabrese escaping with a narrow victory against Rea Wang four - three. With the top four players of each group advancing to the single elimination knockout stage on Sunday – which is promoted as a no excuse format. 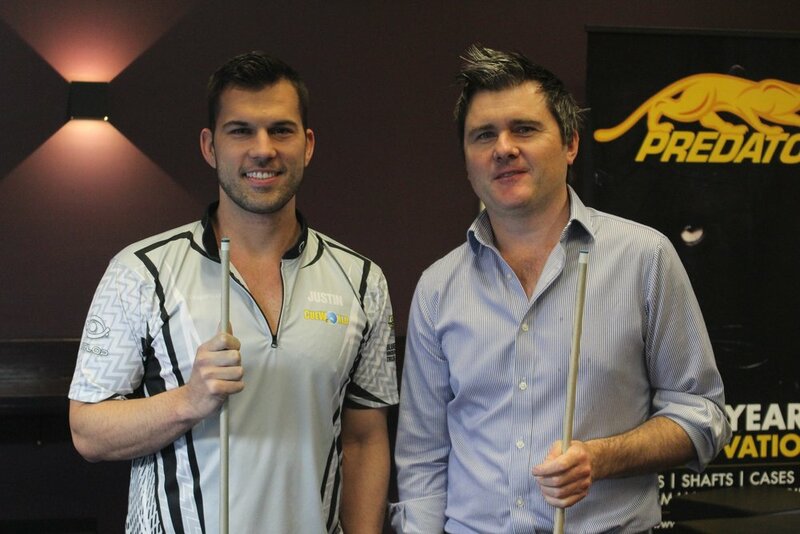 Sunday saw eighty players returning to be crowned the inaugural Sydney 8 Ball Masters champion. From the round robin stage each of the eighty players were seeded into the final knockout stage. 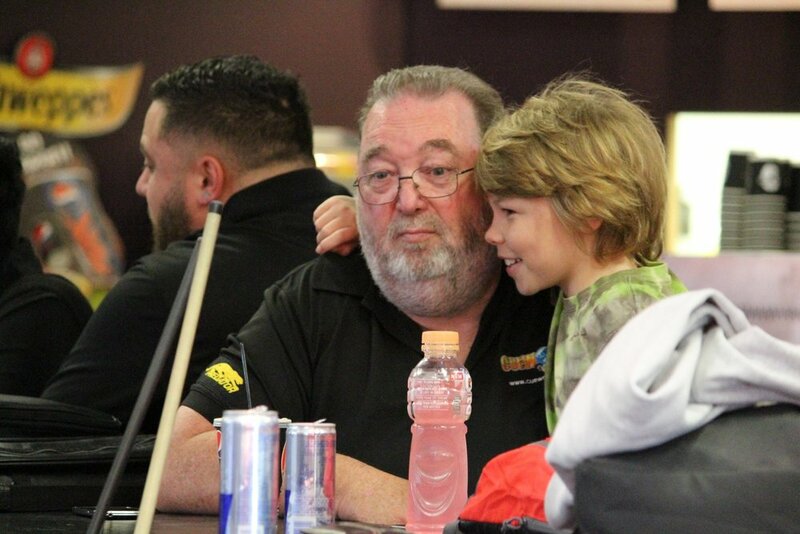 The knockout started bright and early and kicked off at 8:30am with the field of eighty starting and getting knocked down to sixty four players. The round of sixty four saw the top seeded players come into the event, with the top seed Danny “Young Master” Stone storming in the last thirty two with a six-zero win and Justin “Juzzanaught” Sajich steam rolling his opponent six-zero also, some upsets also came in the round of sixty four with the likes of Maher El-Omari losing in a thrilling Hill-Hill match and Danny Frasi getting the better of Travis McCleary. The round of thirty-two saw Barry “The Mule” Mavros get knocked out by close friend Chris Calabrese in another absorbing Hill-Hill match, also saw the knockout of seed number two Gavin Douglas. The round of sixteen saw an unfamiliar name rise out of the pack in John McDermott eliminating Hunter based player Phil Mowbary Seven-Five to advance and face of with John Wims in the quarter finals; this also saw the end for the Chris “Breeze” Calabrese losing in a close match Seven-Five to Greg “SupaJenks” Jenkins. 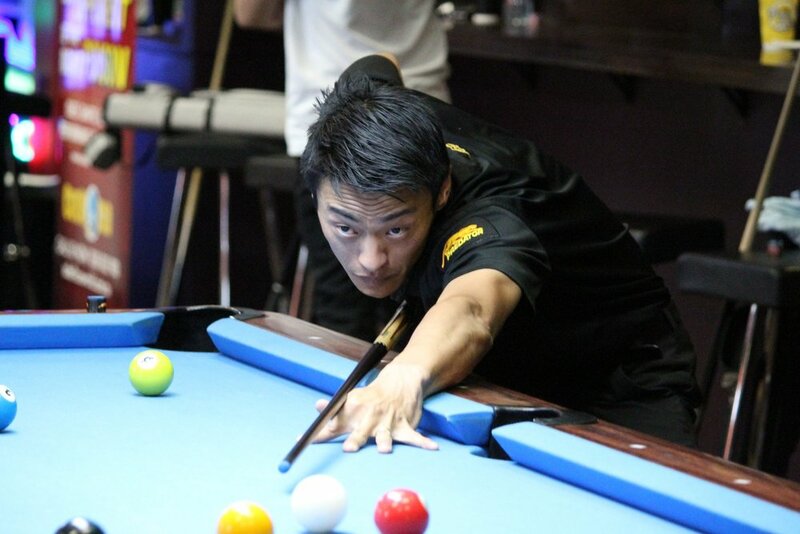 The Quarter-Finals displayed what pressure pool is all about with an absolute nail biter between number one seed Danny “Young Master” Stone and number eight seed Andy Nguyen. Andy had a great opportunity to clinch victory in this tightly contested match only to jaw the 8-Ball and leave Danny an open table to runout and win the match Seven-Six. Other Quarter-Final results saw Raimo “Rambo” Teesear, Justin “Juzzanaught” and John Wims advance to the Semi-Finals. The Semi-Finals saw an electrifying match between Danny “Young Master” and Raimo “Rambo” Teesear both combined to runout seven racks in a row, with Raimo eventually winning Nine-Seven. 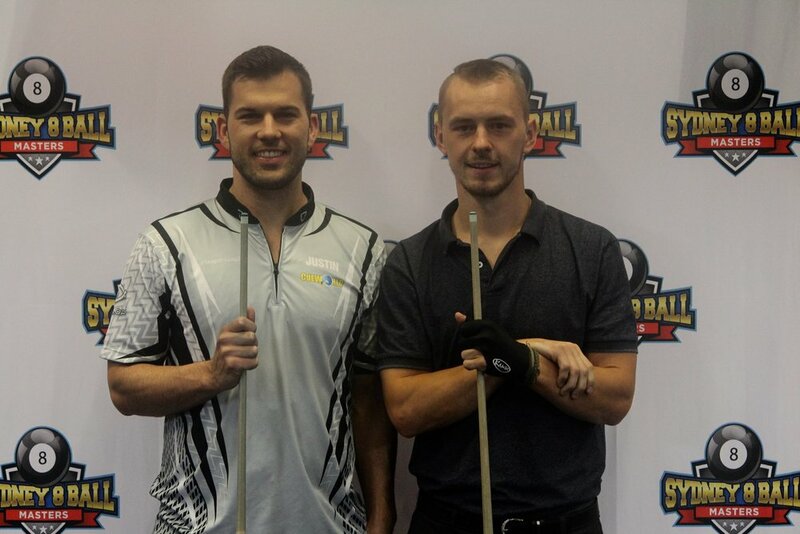 The other Semi-Final had John Wims shoot out to a Three-Zero lead, however John ran out of energy and a few costly lapses of concentration opened the door for Justin “Juzzanaught” Sajich to win the next nine games straight and stamp his ticket into the final. The Final was closely contested between Ramio and Justin and at Three a piece, however fatigue got the better of Raimo with unforced errors. 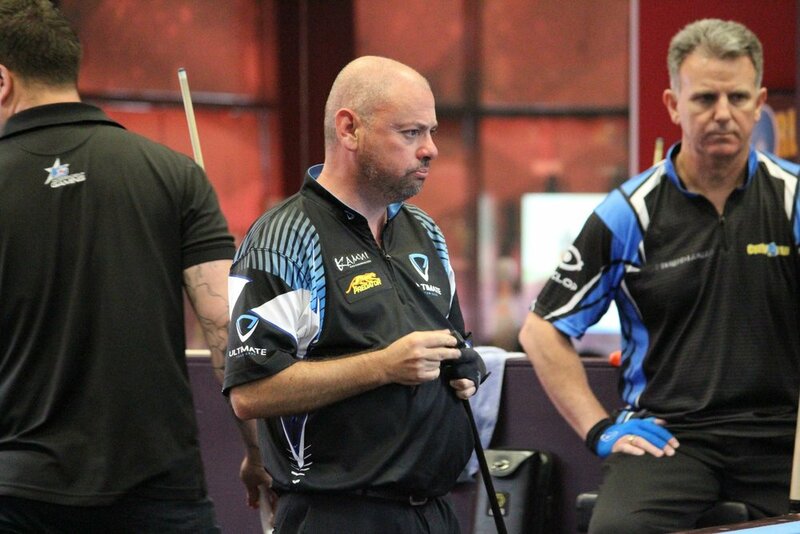 Justin found another gear and put daylight between him and Raimo and ran away with the match winning the coveted title as Sydney 8-Ball Master Nine-Three in a dominant display. The prize money saw the payout spread from the top sixteen, with the winner getting $2,500. This also saw prize money given out to the Best Female player Joey Tohme, best Local Legend Christian Andal and the best Intermediate John McDermott. Once again we would like to acknowledge our great sponsors for supporting this tournament and taking the journey with the CueWorld Events team and backing the vision that we all shared. Major Sponsor - Direct Steel Fascia. Venue Sponsor - Tenpin City. Event Sponsor – CueWorld. Cue Sponsor – Predator Cues and Product Sponsor – Kamui Products. This tournament would not have been possible or successful without the tireless contribution of the entire Cueworld Events team that consisted of Stuart Rogers (Event Director), Marvin Monzon (Tournament Director), Barry Mavros (Media and Commentary), Kate Harrison (Media), Langa Solofoni (Event Staff and Commentator) and special thanks to our friend Simon Felice (Errand runner).